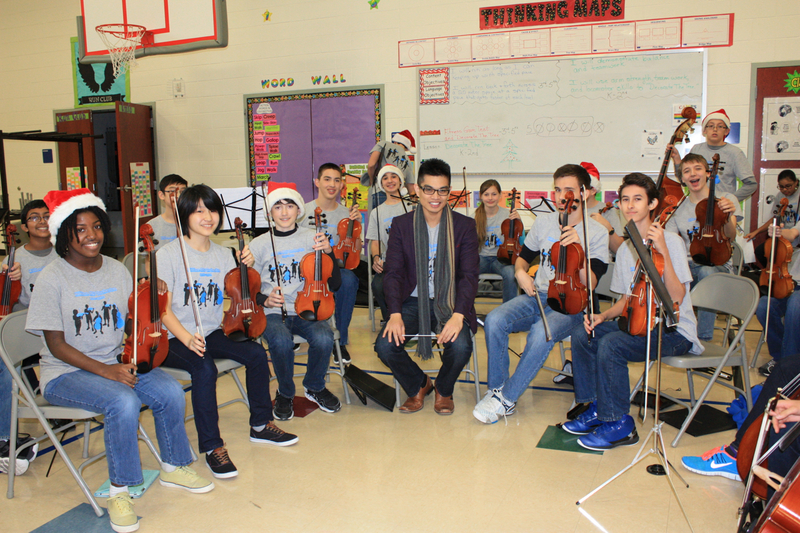 The Killian Middle School Orchestra has quickly established a proud tradition since the school’s opening in 2007. Students begin orchestra in the 6th grade and learn the violin, viola, cello, or bass. In the 7th and 8th grades, members audition into either the Philharmonia, Camerata, or Chamber Orchestras. At over 100 members, KMS Orchestra students have made room 1610 the place to be! Mr. Hood joins the Killian Orchestras for 2016-17 after starting a new program at a DISD K-8 school. Mr. Cautivar is now the director of orchestras at Hebron High School. Hi I’m Joon in Coyote Ridge Elementary School 5th grade Ms.Heyen’s class. I play piano and i played for 3years. I just want to ask something that how can i sign up for killian orchestra? I want to learn cello. I will show my effort on it when i get to learn.